Blackfeet Community College is a public institution and, with the exception of restricted and high security areas, is accessible to the public during normal building hours of 8:00 am to 5:00 pm (time, place, and manner restrictions apply). With the exception of essential personnel and services, and others as designated, buildings are locked and access is permitted only with proper authorization from the President. Individuals must provide identification after normal building hours and/or facility use agreement for after-hours activities. Facilities committees help shape the physical character of their institutions by ensuring that their campuses are functional, attractive, and well-maintained. 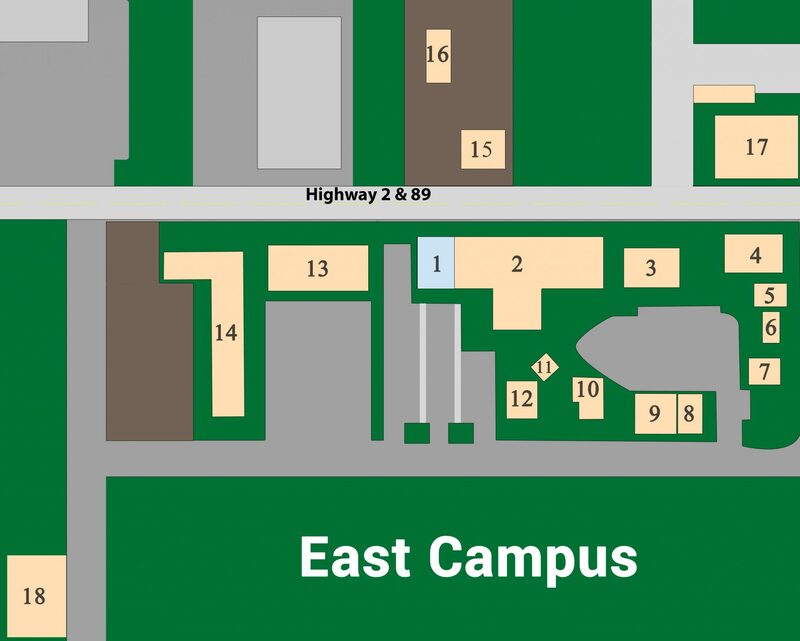 Committee members tackle the challenging work of helping to update the campus master plan and developing harmonious relationships between buildings, open spaces, landscaping, and the interior circulation of vehicles and pedestrians. 7. 44 BCC Road Equity (experiential learning) classroom.